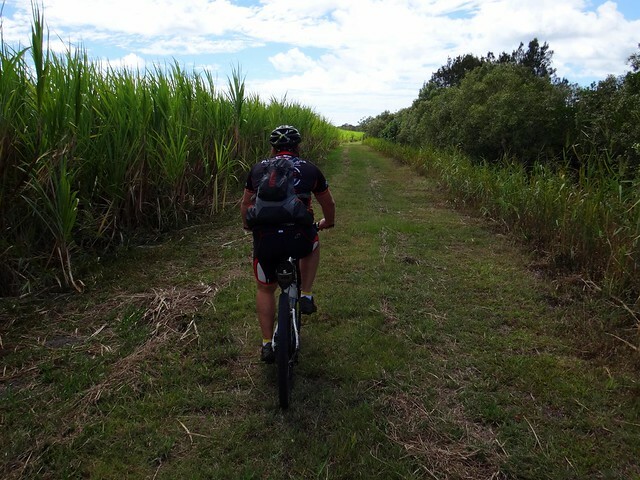 Today Simon and I explored the cane fields between Yandina and Coolum looking for a route that we could use for a future social ride. This alluvial plain contains a mixture of swamps, farms and melaleuca scrub. It floods regularly, but has many tracks that are fun to ride. 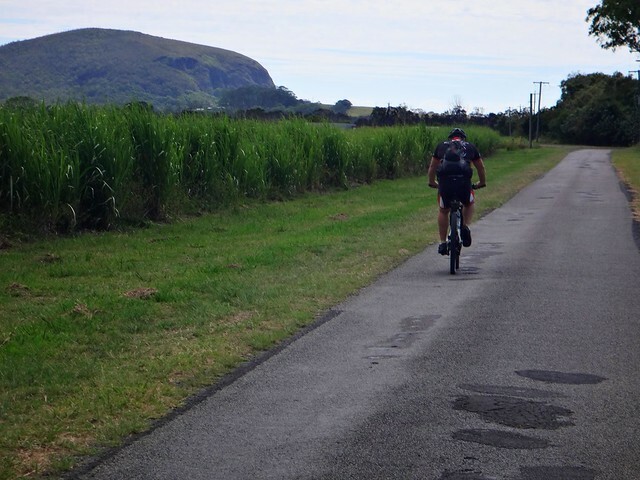 We started near the small farming community of Valdora, with Mount Coolum looming large on the eastern horizon. This “Lift Bridge” still has the old cane-train lines on it. 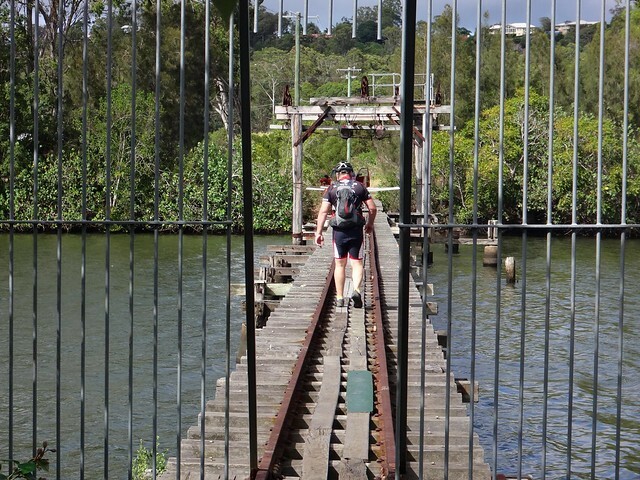 When it was operational, the lift would be lowered to let trains pass over the bridge, then raised again to allow boats to pass up and down the Maroochy River. On a future ride we think this might be an ideal spot for launching Eric’s inflatable dinghy to ferry bikes and riders over the river. 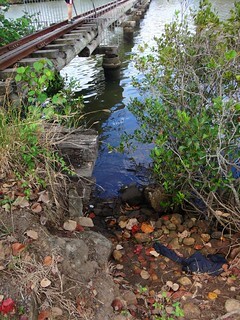 Our aim now was to find a quiet route from the north to get to this bridge, avoiding the busy main road into Coolum. 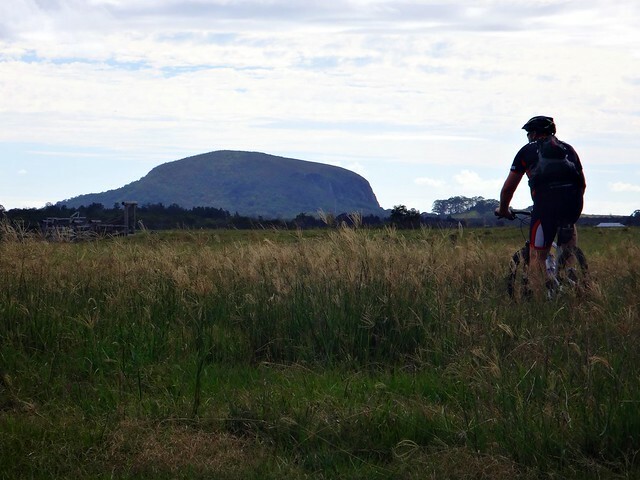 We rode eastwards along River Road past numerous farms as Mount Coolum seemed to watch over us. Some of the buildings have seen better days. Simon thought this would make an ideal weekender. I don’t think I’ll be staying over, Simon. As often happens when we follow quiet roads, the tarmac ended, the gravel road became narrower, and we rattled over a few ricketty bridges. 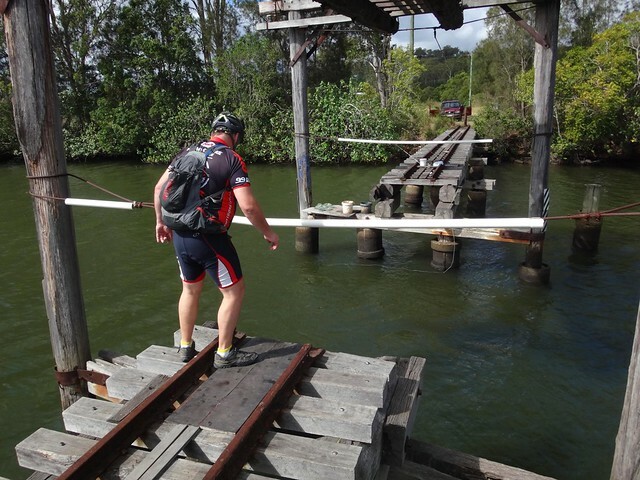 Eventually we ran out of road, every turn blocked by a canal or creek – so we turned around and tried a different approach. 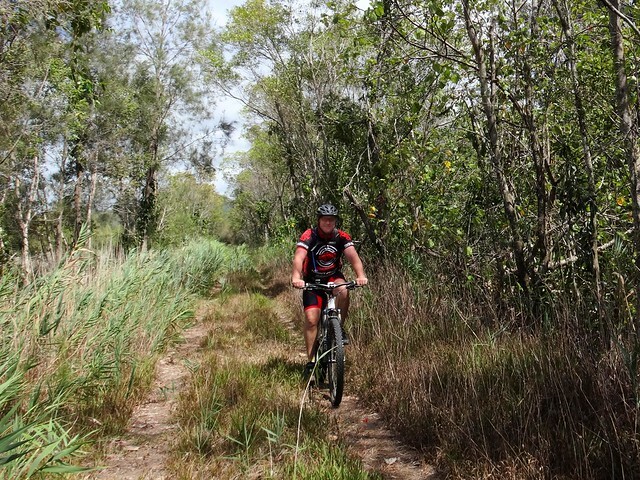 Riding through a cane field is much more enjoyable than riding on a busy main road. 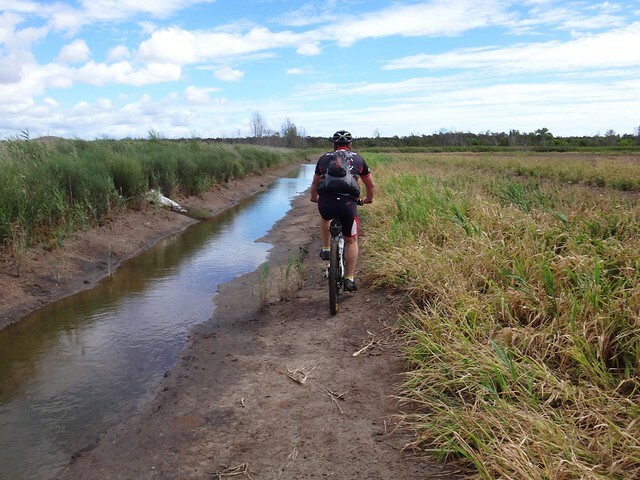 The cane field led us to a quiet track which followed Yandina Creek. 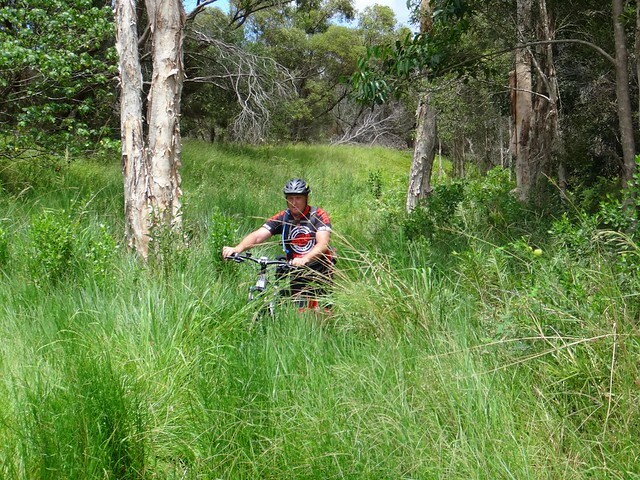 It was overgrown in parts, but I had ridden through here a few years ago, and was confident it would lead to the river. Unfortunately a bridge over one of the canals had been washed away. Faced with the choice of doubling back, or wading through the canal, we chose the latter. Like all good leaders I let Simon go ahead to make sure everything was ok.
With Simon’s help I managed to scramble across with the bike by jumping between clumps of mud. I was happy – we’d traced out a challenging off-road route from the North that would get us to the river. 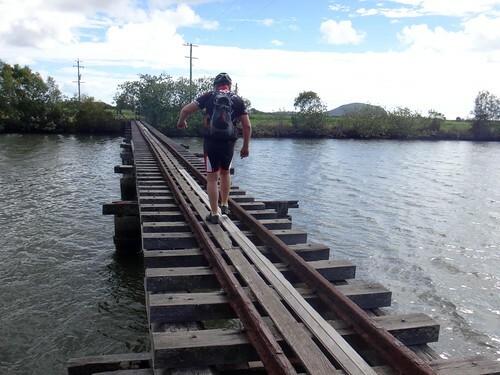 Our next hurdle was to see if we could join that eastwards to Coolum. 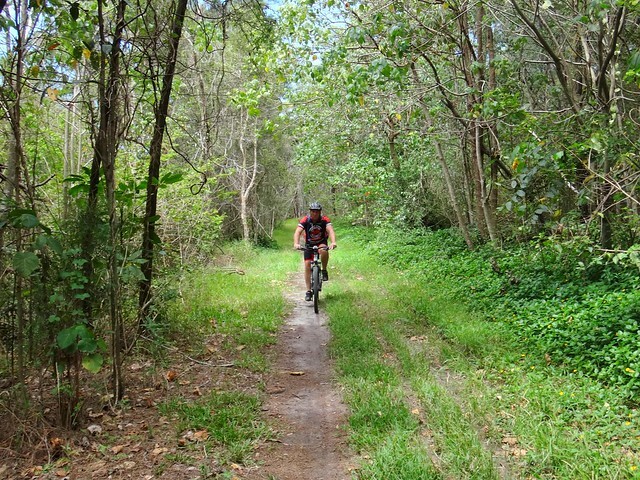 We followed the familiar trail from Coolum State School along Stumers Creek to the beach. I thought we should mix it up a bit, and looked for a new way to get us into Noosa National Park without getting too close to “civilization”. We did it, but ended up having to negotiate some head-high “fukawi” grass along the way. 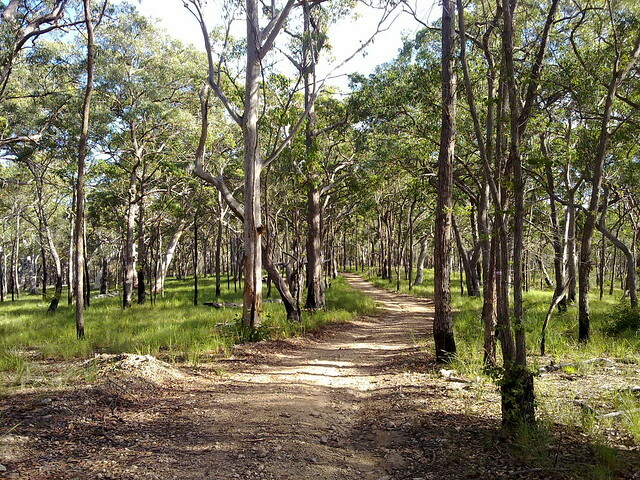 We were heading for some bushland near Peregian Springs. I had ridden there a few years ago, and thought it was delightful. It was like something out of “The Lorax”. I felt really sad. The land is being cleared to build more homes as the area faces an influx of new people who want to live here. The irony is they’re loving it to death. 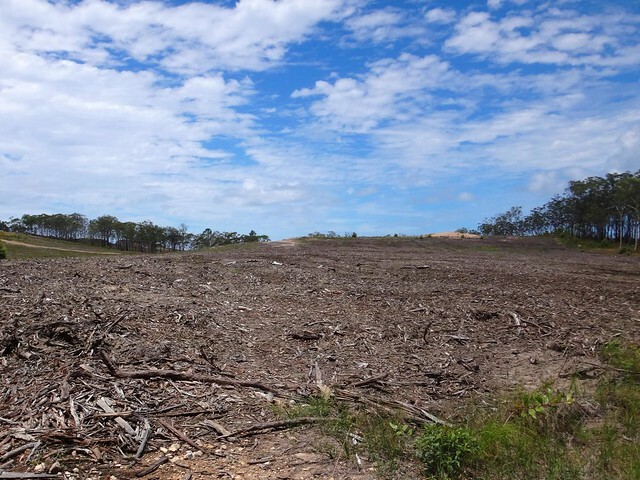 I wish developers didn’t turn such beautiful bushland into a sterile desert. I don’t have any answers – all I can do is enjoy the beautiful places around here while there’s still something to see! 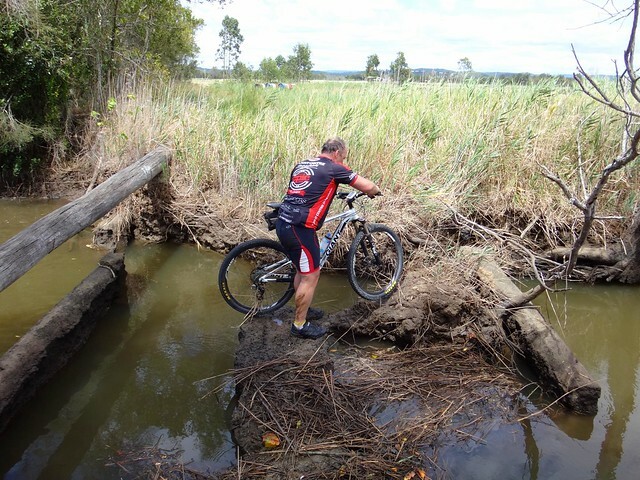 Thanks, Simon, for following me through along some unusual tracks. I’m looking forward to exploring this area with more friends in future. I was interested to read about your bike ride. I have been bird-watching on some of these cane and ex-cane farms and while some owners are happy to let me do so, others have refused permission, including on those properties that you rode through. I was wondering how you managed it? 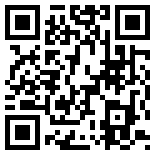 I’ve just had a look at your blog – your photos are beautiful. Simon and I were very slack when we did this ride in Feb last year. 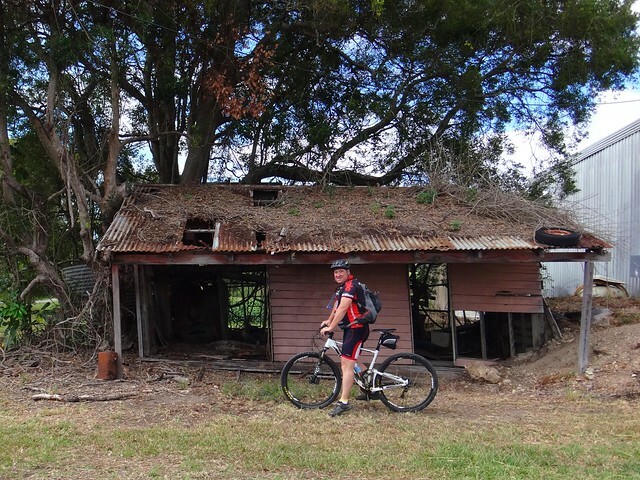 We drove up from Brisbane and just rode around whatver dirt roads and tracks seemed interesting at the time without enquiring whether were were supposed to be there. 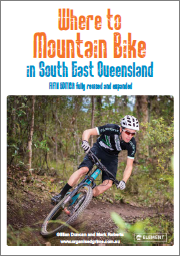 Since then I’ve lifted my game and obtained a copy of the QLD Globe mapping tool so I can more accurately see property boundaries, and title references, to make it easier to contact land owners and seek permission to cross. (https://data.qld.gov.au/dataset/queensland-globe). 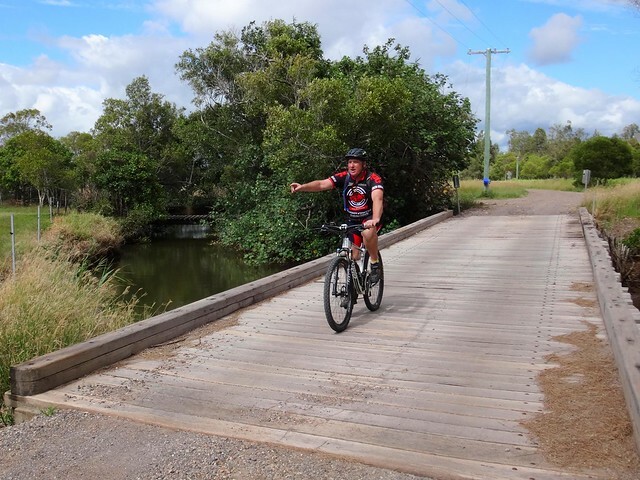 Re-tracing my steps on that day, I think the tracks you’re referring to are where we rode east from Dyne Rd, crossed Yandina-Coolum Rd and continued east along the creek until we met River Road. In hindsight we should not have just blundered through there. We were fortunate not to antagonize anyone, and it’s not something I’d recommend doing in future without checking. I hope our folly hasn’t made life more difficult for you.